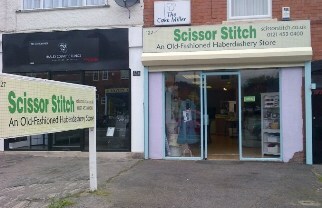 The term “Scissor Stitch” or “us” or “we” refers to the owner of the website whose registered office is 127, New Road, Rubery, Birmingham. The term “you” refers to the user or viewer of our website. •	From time to time this website may also include links to other websites. These links are provided for your convenience to provide further information. •	You may not create a link to this website from another website or document without Scissor Stitch’s prior written consent.